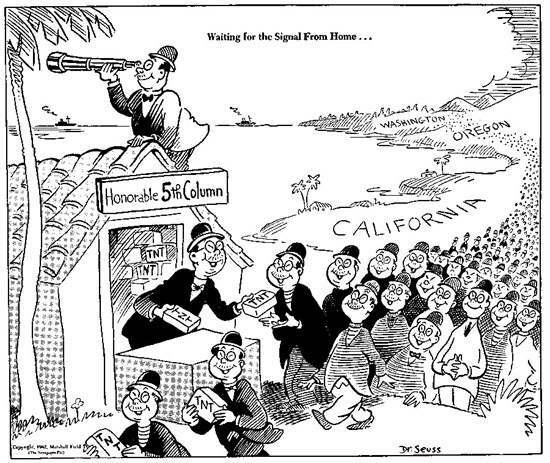 There have only been two Hollywood movies set around the WWII internment camps for Japanese Americans, neither of which had a very wide release, and in both of which the Japanese American characters are not the focus. The first was released in 1990 and the second in 1999. Yes, Hollywood is a paid propagandist of the US armed forces, that's actually pretty well documented. The diffuse spectacle accompanies the abundance of commodities, the undisturbed development of modern capitalism. Here every individual commodity is justified in the name of the grandeur of the production of the totality of objects of which the spectacle is an apologetic catalogue. Irreconcilable claims crowd the stage of the affluent economy’s unified spectacle; different star-commodities simultaneously support contradictory projects for provisioning society: the spectacle of automobiles demands a perfect transport network which destroys old cities, while the spectacle of the city itself requires museum-areas. Therefore the already problematic satisfaction which is supposed to come from the consumption of the whole, is falsified immediately since the actual consumer can directly touch only a succession of fragments of this commodity happiness, fragments in which the quality attributed to the whole is obviously missing every time. Irreconcilable claims jockey for position on the stage of the affluent economy's unified spectacle, and different star commodities simultaneously promote conflicting social policies. The automobile spectacle, for example, strives for a perfect traffic flow entailing the destruction of old urban districts, while the city spectacle needs to preserve those districts as tourist attractions. What does this have to do with there being no Hollywood movies about Japanese American internment, save for two stories where a white man falls in love with a Japanese American woman who is then sent away to a camp? George Takei, who was a child of Nisei parents and spent time in those camps himself, has a Broadway play coming called "Allegiance". It's only a matter of time before it becomes a feature film or a huge cable TV extravaganza, a la "Angels In America". I was addressing more Loz's statement that Soviet films about gulags didn't appear until the late 80s. I'm not saying there weren't any, there probably were a few, i'm saying that it wasn't talked about honestly and without reservations. There was nothing racist about those operations. Terry Martin in Affirmative Action Empire notes that various Russians who worked in Manchuria were likewise shot during the Great Purges since they were accused of being Japanese agents. The more "foreign" ties you had (not simply being a non-Russian), the greater chance of you being targeted in the Purges. Another example is Mirsky, a literary figure and former émigré who E.H. Carr visited during the Purges. Carr's visit probably convinced the NKVD that Mirsky was a foreign agent, and he was thus shot. Last edited by Ismail on 21 Jan 2014, 12:57, edited 1 time in total. So deporting a people or a nation from their homeland for no reason at all is not racist? Wow. The whole point of those operations was persecuting people solely on the basis of their ethnicity. It was no more racist than de-Cossackization. I'm sure racism did exist in local circumstances, though. But it wasn't what directed state policy. With the advent of Soviet revisionism actual chauvinistic and racist attitude began to enjoy state sanction, e.g. an attempt in 1978 to remove Georgian as the language of the Georgian SSR, attempts to promote the idea of a "Soviet nation," etc. Which also had racist undertones, yes, even though Cossacks weren't and aren't really a nation. Was the expulsion of Germans from ČSSR and Yugoslavia after WW2 racist? Obviously it was. Wow. I just mentioned the national operations of the NKVD, if that wasn't directed state policy then i don't know what is. What's wrong with the Soviet nation? Anyway it was Stalin who sanctioned the re-birth of Russian chauvinism in the USSR, and even called Russians the most outstanding nation of all the nations forming the Soviet Union. Now imagine Cameron saying that about the English or something. The fact you call something like de-Cossackization "racist" shows you have a rather odd definition of the term. "Yes, Hollywood is a paid propagandist of the US armed forces, that's actually pretty well documented." Absolute rubbish! The right-wing say Hollywood are in the pay of the liberals, the liberals say Hollywood is run by conservatives and the Nazis say Hollywood is run by the jews. Not a shred of evidence to support either view point. If the studios can make money making "leftwing" films they will do so. Who, until the 2nd trilogy of the Star Wars films came along, was, financially at least, the most succesful director of all time? That famous paid propagandist of the US armed forces...wait for it...Charlie Chaplin! What applies to Russia’s trade relations with her European satellites, applies equally to her trade relations with China. Chinese pig, bristles and tung oil, which constitute a large proportion of Chinese exports, are offered at present in the Western European markets at prices below those in Shanghai and Tientsin, the main ports of export of these products. Russia is the exclusive agent selling Chinese products in the Western markets, and the fact that she can afford to sell them at prices below those prevailing in China itself – and there is no question that Russia makes a profit on the transaction – indicates clearly that she pays exceptionally low prices for them. It partially also explains why Peking is making such efforts to open direct trade relations with the West, thus eliminating the Russian intermediary. The position of Russian-owned enterprises in Eastern Europe shows up most blatantly the third means of capitalist exploitation carried out by Russia: exploitation of the “natives” employed in enterprises owned by foreign capital. In the Russian Occupation Zone of Germany, the Russian state took outright as its property about a third of all industry. This is owned by what is called “Soviet Shareholding Companies” (SAGs). The importance of the SAGs is very great. Nearly all the large-scale enterprises are owned by them. Every SAG employed in 1950 on the average 2,400 workers, as against 139146 in the LEBs (enterprises owned by the so-called German Democratic Republic) and about 10 in the private industries. The importance of the SAGs will be even clearer if we take into account that they control heavy industry entirely. In the SAGs German workers produce surplus value taken by the Russian bureaucracy. In Rumania, Hungary and Bulgaria there are mixed companies, in which Russia owns 50 per cent and which are in reality completely under its control. Thus, for instance, such a company controls the richest oilfields in Rumania; others control steel, engineering, coal-mining, shipping, air communications , timber, chemical production, tractor production, the building material industries, the exploitation of natural gas deposits, banks, insurance companies, etc. – altogether making up far more than half the industries, transport, banking and insurance of Rumania. In Hungary and Bulgaria there are also mixed companies, but their importance is much smaller. And let us not forget that the revisionists in Eastern Europe and China likewise praised Khrushchev and Co. for supposedly promoting "equality" in relations on a "Leninist" basis, as opposed to the Stalin era where there were supposed "violations" in this regard. As for Khrushchev's 'International Socialist Division of Labour'...not only were many of its proposals never fully implemented even during his time, due to resistence from the USSR's allies, but that most were dropped completely after his fall. In the late 1960s the entire programme was scrapped completely in favour of the concept of 'socialist economic integration', which was outlined formally in 1971 with the 'Comprehensive Program for the Further Extension and Improvement of Cooperation and the Development of Socialist Economic Integration'. This programme was much more sensitive to the needs of individual member states, and in fact has been criticized for having been built on so much compromise that it wasn't able to effectively tackle the shocks of the oil crises of the 1970s or the debt crisis of the 1980s. Overall, I'm with Dagoth here. The terms social imperialism and state capitalism are relics of the Sino-Soviet split that managed to maintain usage among critics of the USSR and the Soviet system. They are not based in reality, which becomes evident when analyzing in depth how the USSR's economic system worked and how the USSR interacted with other socialist and developing countries around the world. In other words, the day the economic costs of running an “empire” are greater than the economic gain then it ceases to become an “empire”. But what then do you call it? The doctrine of "economic integration" was likewise denounced by the Albanians, as the link I gave makes clear. The Soviet revisionists, having denounced Stalin and restored capitalism in their own country, had a limited ability to control the bourgeois nationalism they engendered in Romania, Poland, Hungary and China, while they legitimized such nationalism in Yugoslavia. What was important for the Soviet revisionists is that their revisionist allies, however cranky, would follow the essential policies of Soviet social-imperialism, as they generally did in-re the invasion of Czechoslovakia, etc. Ismail, forgive me if I don't accept what the Albanians said about socialism in the USSR as Marxist-Leninist gospel. I cannot agree that 'the Soviet revisionists' restored capitalism in the USSR, not until 1988-89 anyway (and even that was only the beginning, and not completed until 1996-1997), and I have no idea what you're talking about when it comes to the USSR engendering bourgeois nationalism in Eastern Europe. You seem to accept that Mao, while a brilliant revolutionary, was a crackpot in power, who had deviated from Marxism-Leninism even while Stalin was still alive. Why then do you choose to accept and use theoretical constructs and insults created by Maoists to slander the USSR? There is a pretty decent book out there that came out recently, which I believe Ismail or someone else has some PDF scans of, which talks about how outside of Russia, Belarus and to some extent Ukraine, the USSR had a pretty corrupt economy that primarily relied on informal employment and corruption of officials. Kurginyan also talks about it in one of his books on the emergence of "criminal capitalism" in Russia, as he calls it, particularly [url=http://ru.wikipedia.org/wiki/Фарцовщик]fartsovschiks[/url] (rukipedia) who bribed officials to let them exist and managers to give them factory goods. There was another term for criminals who simply stole and resold them, [url=http://ru.wikipedia.org/wiki/Цеховик]tsekhoviks[/url] (again rukipedia but it's 2 am and I'll look for better sources later). It wasn't bad in Moscow and such, but in provincial cities and southern republics, particularly Georgia, it was sometimes more rampant than the planned economy. The whole institution of "blat" which arose around 1960 when officials started closing their eye on the gray market, is what is meant by the restoration of capitalism in most Western sources (other than Trotskyites and such who don't look at anything and see capitalism everywhere). It pretty prominent in cinema, particularly by the early 80s, Блондинка за углом (Blonde behind the corner) is apparently the big one that's all about it, but other films like Снюсь (not sure how to translate that one) and even more popular titles. This is the thing many Soviet dissidents actually had the biggest problem with, although it's convenient for both the pro-Soviet and pro-West sides to just say that they were all about freedom/liberal democracy/western values/whatever the hell, which they were to a significant enough extent to drown out their valid arguments against the system.